FULTON, NY – Hugh “Tim” Moore, 72, of Fulton, passed away on Saturday, March 30, 2019, at home surrounded by his wife and four daughters. 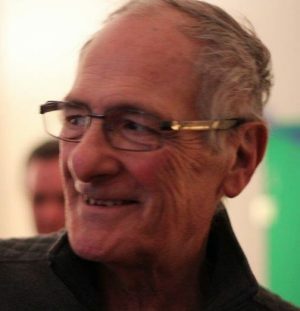 He was born in 1947 in Oneonta, a son to the late Hugh Moore and Celia Parsons. Tim was predeceased by his son, Nathan, in 2017; and his sister, Mary Holden. He will be greatly missed and forever loved by his wife of 51 years, Dianne; four daughters, Susan (Jeff) Laine, Sarah (Michael) Fass, Rachel (Tim) Van Aken and Celia (Andy) Traum; 11 grandchildren: Cam, Brandon, Ainsley, Sadie, Ethan, Owen, Zeke, Oliver, Simon, Zoe and Finley; two brothers, Donald (Jane) and Jim; as well as several nieces and nephews. Tim began his teaching career in 1969 as a social studies teacher in LaFargeville. He then followed in his parents’ footsteps when he and his wife opened up an Italian restaurant in Fulton for nearly 10 years. Tim returned to the classroom in 1980 at G. Ray Bodley High School where he taught American history, government and psychology. He brought a joy for learning and enthusiasm to his classroom every day. He taught students to think for themselves, and took great pleasure watching them succeed after graduation into adulthood. While his “day job” was teaching in the classroom, his real passion was teaching on the wrestling mat. Tim Moore’s coaching career spanned nearly 40 years. His success in Fulton’s JV program is legendary in wrestling circles. He led his teams to a stellar 167-8 dual meet record and won the UE tournament 10 years in a row. Coach Moore was honored by Wrestling USA Magazine as a runner-up for National Assistant Coach of the Year in 2002. He was inducted into Section 3’s Wrestling Hall of Fame in 2015 and Fulton’s Wrestling Hall of Fame in 2018. His presence would fill up a room. Tim loved his family, wrestling, antiques, the NY Giants, dogs, travel, food and politics. Calling hours will be held 1 to 4 p.m. on Wednesday, April 3, at Foster Funeral Home, 910 Fay St., Fulton, with a memorial service to immediately follow at 4 p.m. In lieu of flowers, please send donations to Fulton Wrestling Club, www.fultonwrestling.com or mail to Fulton Wrestling Club, C/O Jeff Waldron, 3107 State Route 48, Oswego, NY 13126. Diane, Chuck and i are so sorry for your loss. If you need anything please let us know. Tim will be missed by many in the community!He has been such a important part of our highly successful Wrestling Program.Our condolences go out to the family. Sorry to hear this, Thoughts and prayers go out to all.